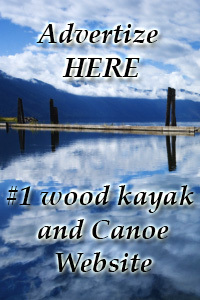 Now you have the opportunity to advertise on Heirloom Paddle Sports. If you want a fast way to reach #1 on Google, you can purchase an advertisement on Heirloom Kayak for low monthy rates or lower annual rates. Submit an image and your information and we can produce a professional quality ad and place it on this website. Heirloom has been at the top of search results for years and everybody who knows wood kayaks and canoes stops by to view these pages. Ad your products, paddles, life jackets, clothing and more right here where paddlers can find them. Heirloom focuses on the boats so you can bring the accessories or sell your boat. List your boat now or let us build your new advertisement today. This entry was tagged cedar strip kayak for sale, wood kayak for sale, wood strip kayak for sale. Bookmark the permalink.